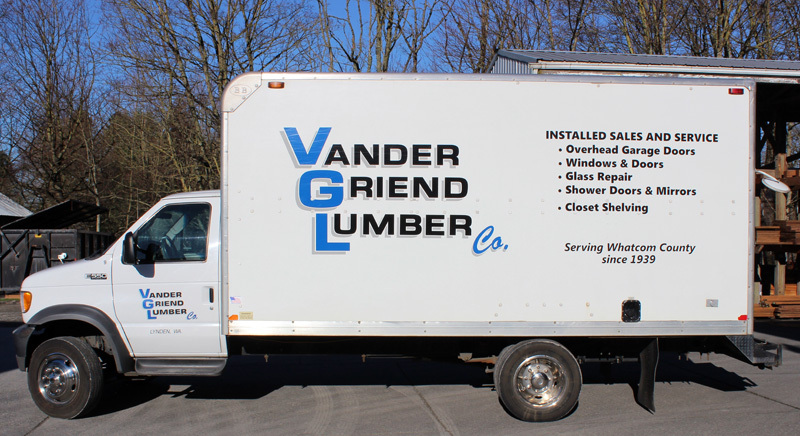 Services | Vander Griend Lumber Co. Inc.
Vander Griend Lumber installs, services, and repairs! Vander Griend Lumber proudly offers installation services to make finishing your project easier. Our experts can assist you in selecting and installing the following product lines. Our experienced technicians can replace your entire door, change out your broken spring, and install or trouble shoot your garage door opener. Got a foggy window unit? We can replace it. Are you waiting to replace your old windows and doors with energy efficient new ones? We can help! Do you need a window or door repaired? Our knowledgeable and experience staff will help you get it done. Metal Storefront Sections and Doors. We service, sell and install. We can replace your old “black edge” mirrors, or hang new mirrors in your new home. We can even cut holes in your mirror for lights and switches. Our staff can help you decide among the many options in showers doors and we can provide expert installation with all of them. Vander Griend Lumber delivers! With our fleet of delivery vehicles, we can get material to your job site. Vander Griend Lumber helps! Our in house experts can help you determine what you need to do your project. From providing help with material takeoff to “value engineering” to helping you design a large deck , small garden shed, or a bench, Vander Griend Lumber is here to help you check your projects off your to do list.